Our extensive list of itineraries below will help you plan your time in Mission Beach and the Cassowary Coast, so you don’t miss out on any of the attractions this region has to offer. Please click on the headline or the “more info” to see the full itinerary. One of the biggest drawcards to Mission Beach is the World Heritage rainforests of the Wet Tropics. Sixty per cent of Australia?s butterflies can be found here, including the magnificent Birdwing and Ulysses species. Mission Beach is also home to the endangered Southern Cassowary. An easy 1 hour drive south of Cairns will take you to the historical town of Innisfail known for Cane & Banana Farming, Fishing & Art Deco buildings. Mission Beach is the only place to visit the Great Barrier Reef, closer than any other on the Far North Coast. Spend more time underwater exploring this spectacular marine wonderland. 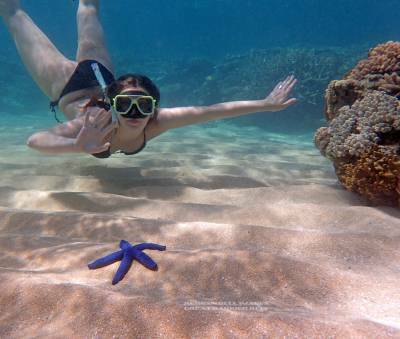 Virtually unspoilt coral reefs await diving enthusiasts and first time snorkellers alike. Full Day Itinerary – Murdering Point Winery – Johnstone River Crocodile Park – Flying Fish Point – Paronella Park. A surprise packed day of extraordinary experiences including waterfalls, delicious delights, spectacular scenery with lakes, walks and wildlife. Licuala Rainforest Track is an easy 45 min. circuit surrounded by Licuala Palms. Murray Falls with clear waters cascading over boulders into rock pools is heavenly! Beautiful rainforest, stunning waterfalls and fascinating wetlands on this fabulous full day itinerary starting at Mission Beach. Full day tour with Tully Gumboot, Alligators Nest, El Arish Tavern and Lacey Creek Walk.